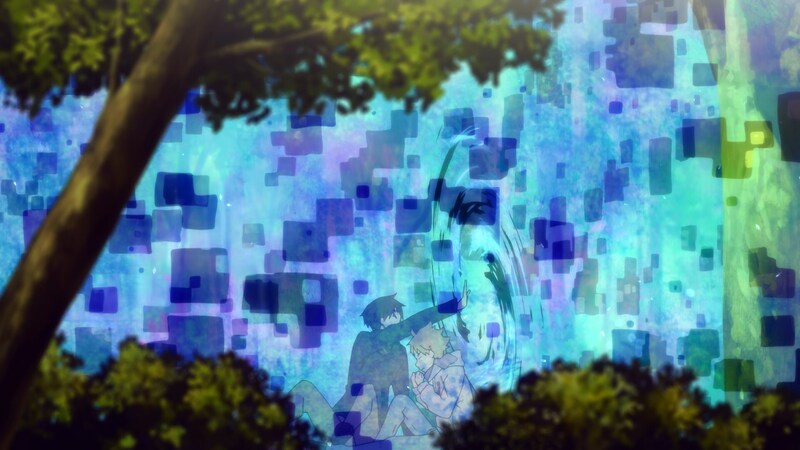 In 2011, the producers at Kyoto Animation decided to make one of the honorable mentions in 2010’s Kyoto Animation Awards into an animated TV series. In contrast to the vast majority of the works produced by the studio, this would be a more action-oriented series. 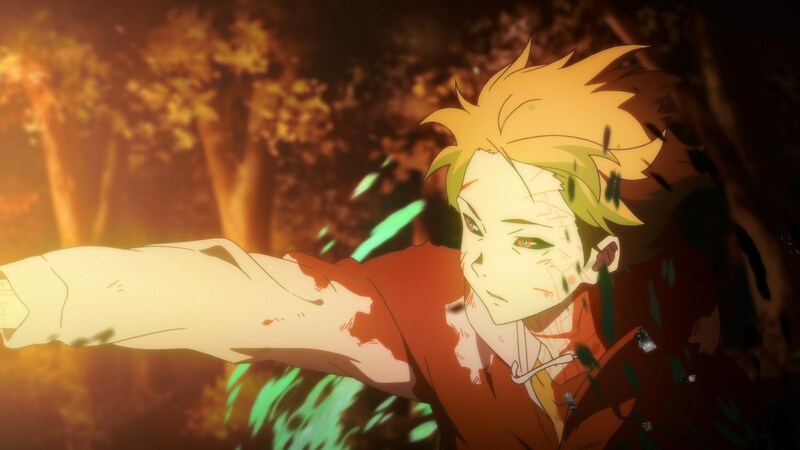 In order to capture the proper details of action animation, animator Taichi Ishidate was asked to helm a series as director for the first time. While he enjoyed the original novel, he, along with series composer Jukki Hanada, knew that it wouldn’t be enough for a full length 12 episode series. Tatsuya Ishihara had gone through that situation and decided to go heavily original with his adaptation; Ishidate instead incorporated the first novel’s main storyline into an original tale about two star-crossed teens trying to find their way in a strange world around them. 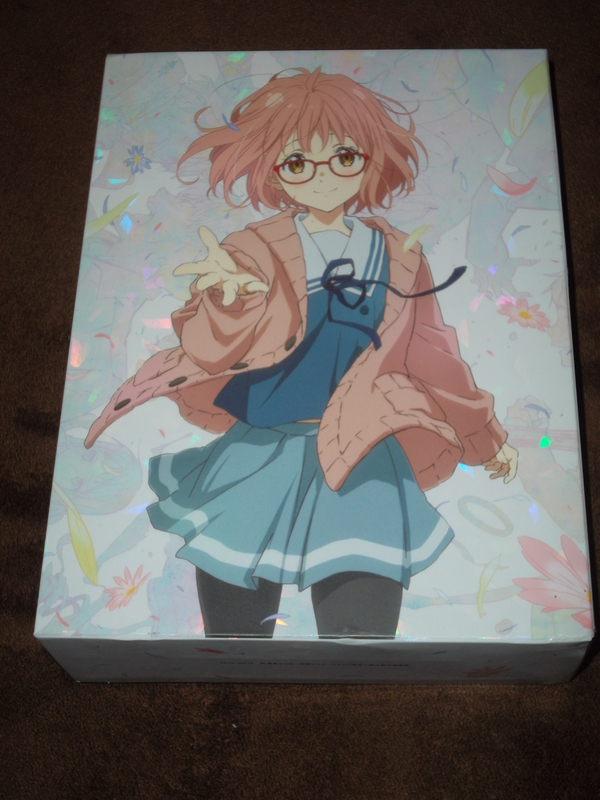 In 2016, Kyoto Animation and Pony Canyon released a Blu-ray Box of the series. 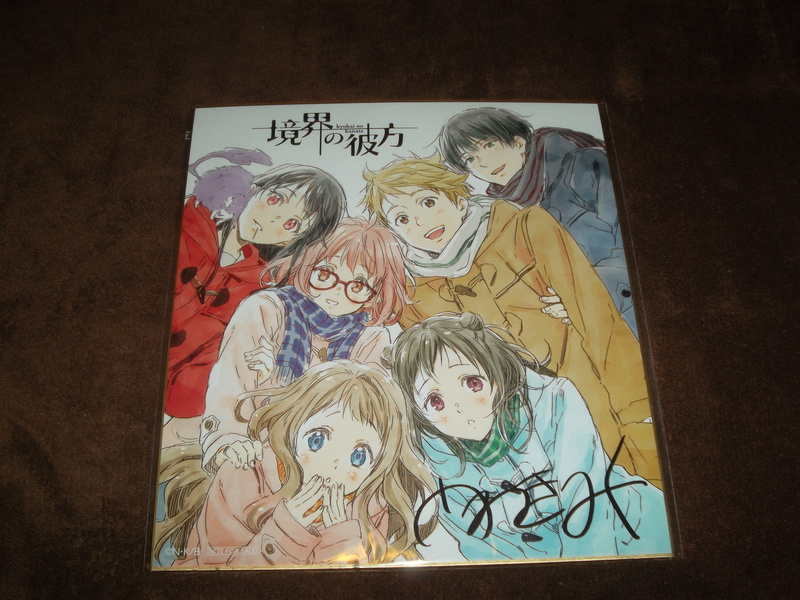 This is a review of that box, as bought at the Kyoto Animation physical store in Uji, Japan. 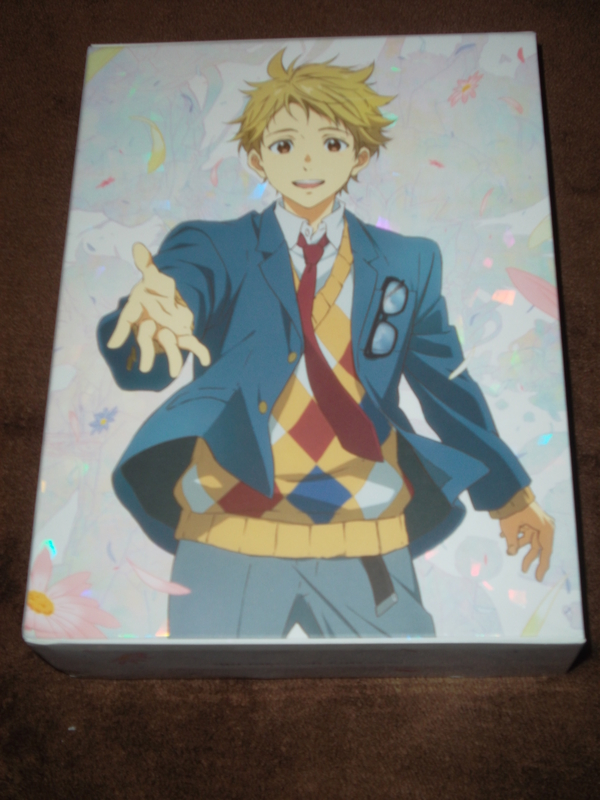 The Beyond the Boundary Blu-ray box comes with the show on 3 Blu-ray discs on a digipak packed inside a 3-sided box featuring new drawings of Mirai (front) and Akihito (reverse). 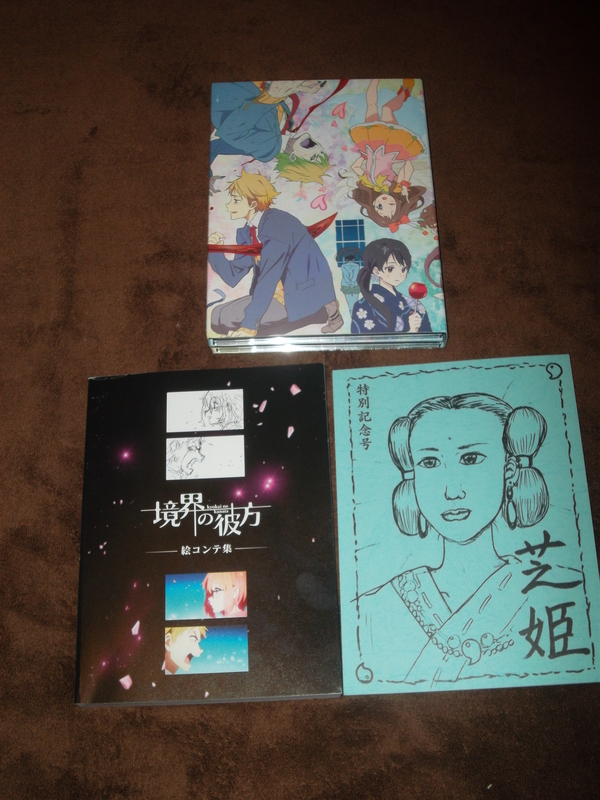 Inside the box is the newly drawn digipak, a special booklet, and a book of storyboards for episodes 6 and 12. 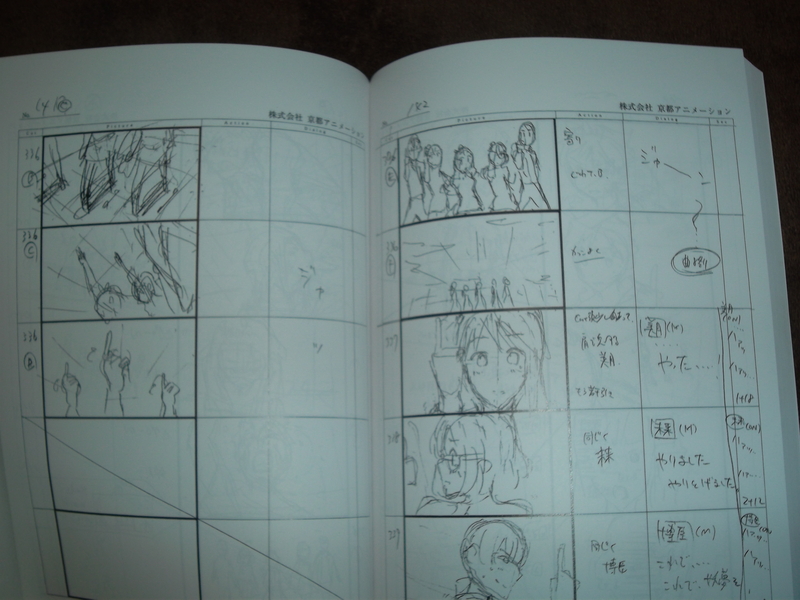 The special booklet includes brief details on the characters and episodes along with a newly written short story by Nagomu Tori, the author of the light novels, special images from the series, and a brief note/drawing by director Ishidate. The discs are arranged as follows: Disc 1 has episodes 1-6, Disc 2 has episodes 7-12, and Disc 3 has episode 0 and the Idol Court shorts. 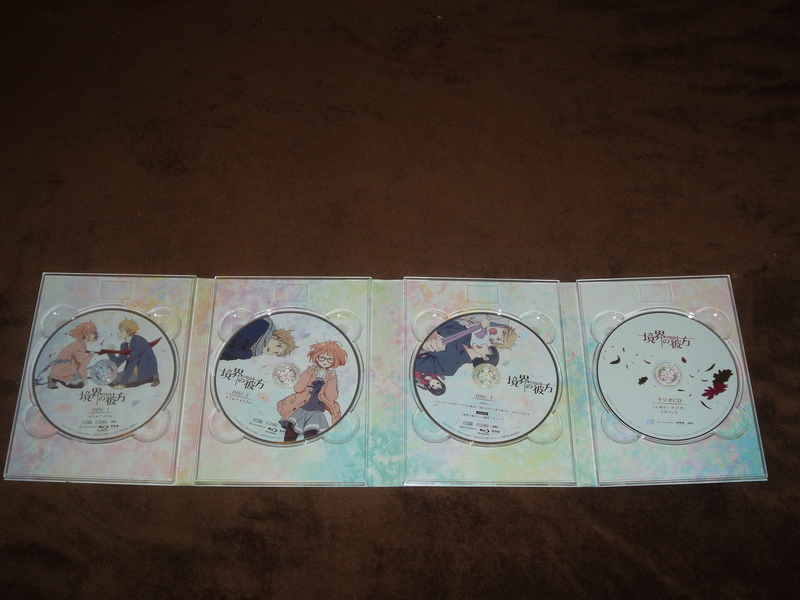 The bonus features are the 7 picture dramas included on each of the 7 Blu-ray/DVD singles the show was originally sold as and a special CD containing a newly recorded radio show just for this release. The Japanese subtitles from the original singles are also included. Visually, Ishidate’s focus on color helps the work feel very vibrant and unique from episode-to-episode. His attention to detail on effects animation and work from the special effects staff and photography staff help make the series look very good. Animation is crisp and the series looks wonderful on this BD set. I didn’t note any issues with banding from the encoding by Pony Canyon. The audio track does its purpose well. While I can’t recall my exact thoughts from watching the streams on Crunchyroll in 2013, I gained a much better appreciation of the soundtrack by Hikaru Nanase on this set. 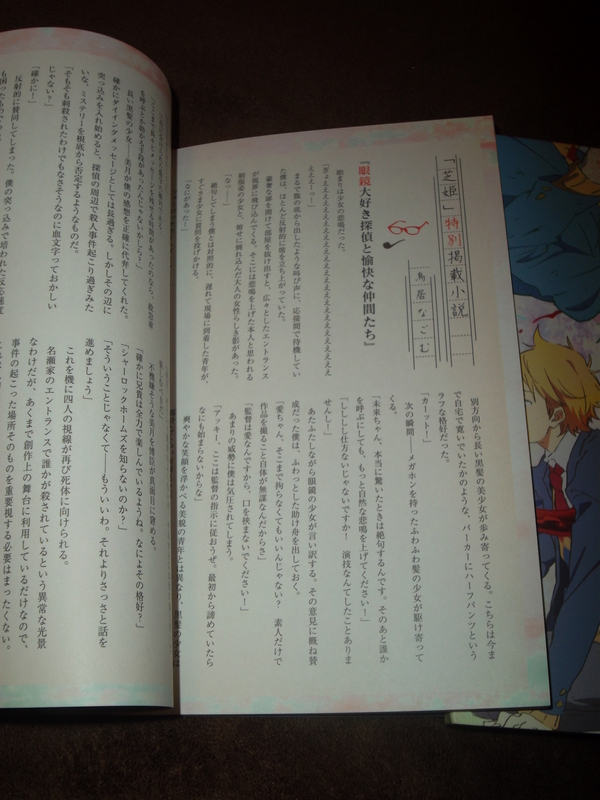 The voice cast serve their characters well, but I do have to complain about the incessant use of “MEGANE! MEGANE!” through the series. 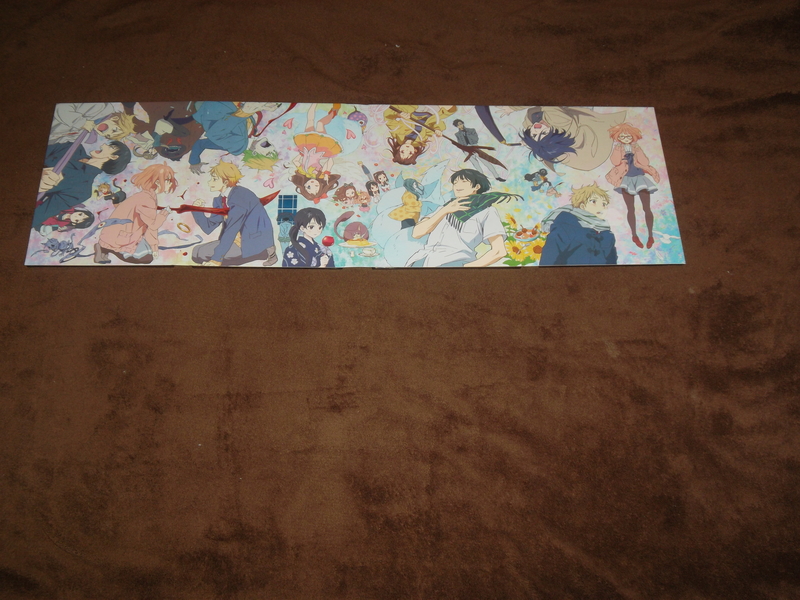 Finally, since I bought the box from the KyoAni Shop, I also got a bonus large signboard from the store. This signboard was drawn/signed by character designer/chief animation director Miku Kadowaki. 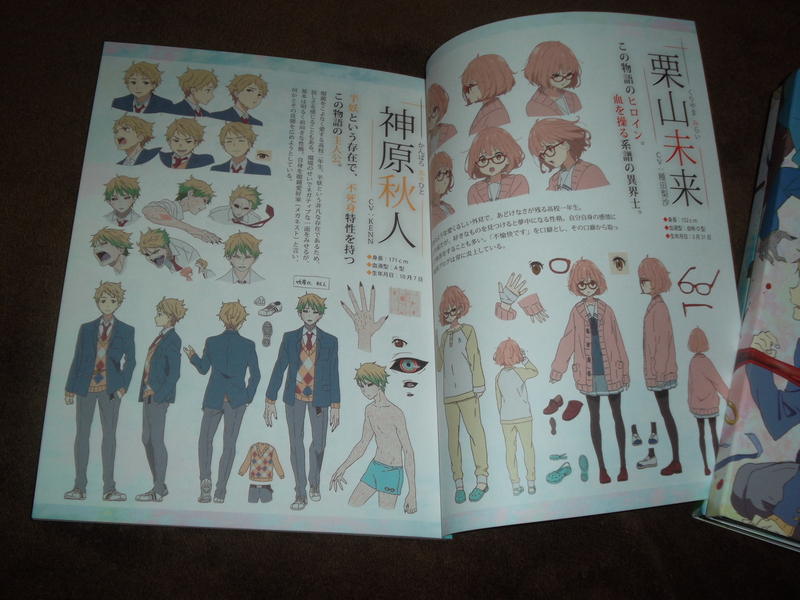 Overall, this is a decent set for anyone who loved Beyond the Boundary. I personally didn’t enjoy it as much as others did, but it was enjoyable on a re-watch. 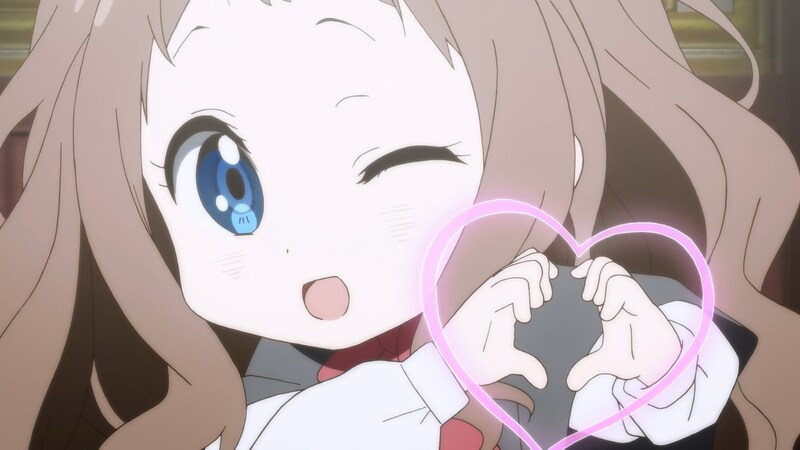 Kyoto Animation tends not to include a lot of the bonus features from singles with the box releases (this set misses the textless OP/EDs, commercials, details from booklets, additional short stories, audio commentaries and bonus cover arts), but if you just want to own the show, they’re a good release. 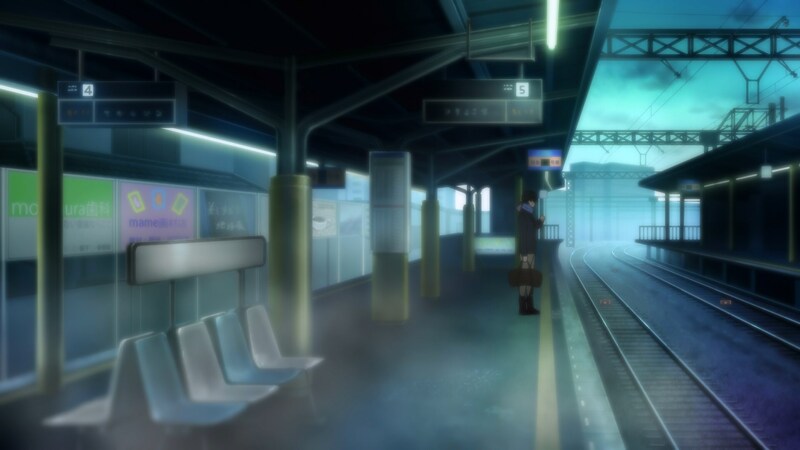 This entry was posted in Blu-Ray, Kyoto Animation, Random and tagged beyond the boundary, Blu-Ray, box, Review. Bookmark the permalink.